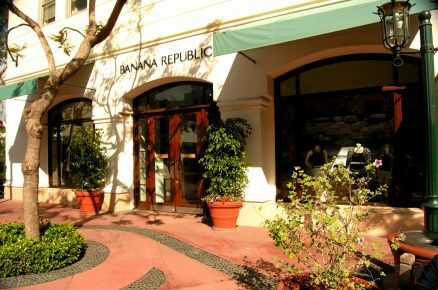 Banana Republic - Lawrence Thompson Architects, INC.
"A bright, bouyant space in the heart of Santa Barbara…"
735 State Street, Santa Barbara : Personality and humanism are key ingredients nourished here to provide an advantage in the marketplace. 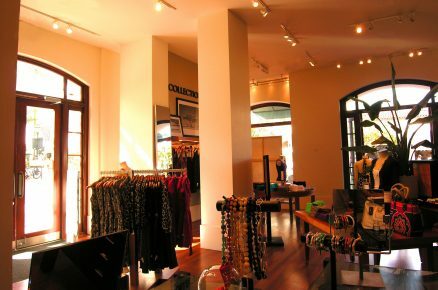 The interior includes a mezzanine and a contemporary design theme. New exterior windows in a contemporary craftsman theme connect the interior with the simple Mediterranean exterior. 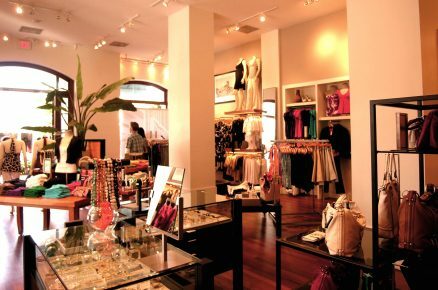 This project was blessed by large existing arched display windows on the approach to Paseo Nuevo Mall from the main street of town- an optimum location.